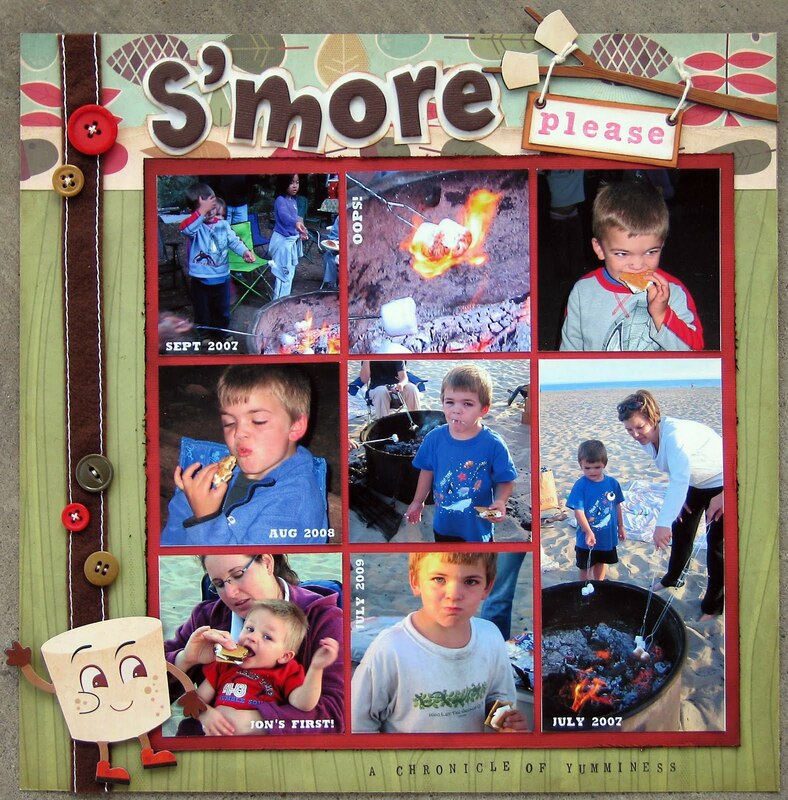 Well, Greg gets to go on a cub scout pack camping trip this weekend so he of course is very excited. This is our first scout campout and it should be lots of fun. Hopefully it won't be too cold, but at least the rain went away. Greg was pleased to hear that s'mores will still be served. As you can see, they are a favorite! 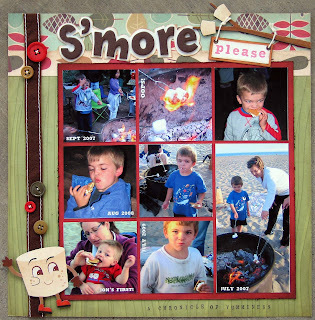 I Love the layout, and I guess we will be making S'Mores tomorrow night, cause I am craving them now!